President Obama will nominate his White House chief of staff, Jacob "Jack" Lew, to be the next U.S. Treasury Secretary on Thursday, a source with knowledge of the nomination tells CNN. It's not clear when the Senate will begin confirmation hearings. In 2009, the Senate took nearly a month to confirm Tim Geithner as Treasury Secretary. This could be just as contentious, coming right after a bruising fight over the fiscal cliff. 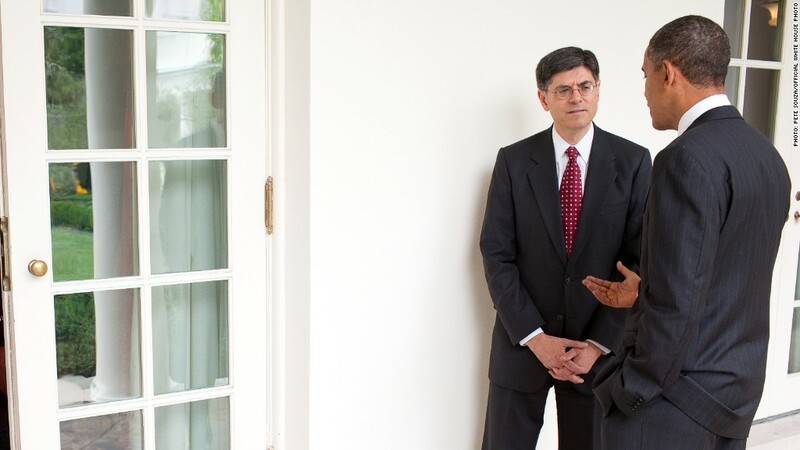 "Jack Lew said 'No' 999,000 times out of a million," Boehner told Woodward. "At one point I told the president, keep him out of here. I don't need somebody who just knows how to say 'No."